In 1998, I was in elementary school obsessing with my friends over the latest Pokémon game. It was the latest craze sweeping the nation — a Japanese RPG with super adorable pets. At the time, I had no idea how much depth these games had. I didn’t understand the stat rolls or the concept of optimizing your team; I just wanted to collect the cool looking animals. 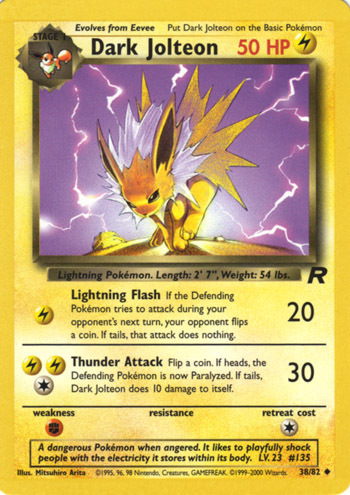 I had this card, but I don’t think I used it in my deck. Rollin’ with Jolteon, Articuno, Blastoise, Mewtwo, and Pidgeot. I clearly had no idea what I was doing, but I was disillusioned into believing that I was truly a Pokémon Master. After all, I did beat that jerkface, BLUE, to earn that fancy title. I mean, c’mon… Look at this Shellder… I’m pretty sure he’d be delicious if you pan seared him! Plus, I don’t even think Shellder rolls decent stats! You can get much better water-type Pokémon than this mollusk. *Some scallops still have a “foot” (an adductor muscle) located on their sides. Because this part of the scallop is very tough, it’s best to remove these by gently tearing them off. Total prep time is about 20 minutes. 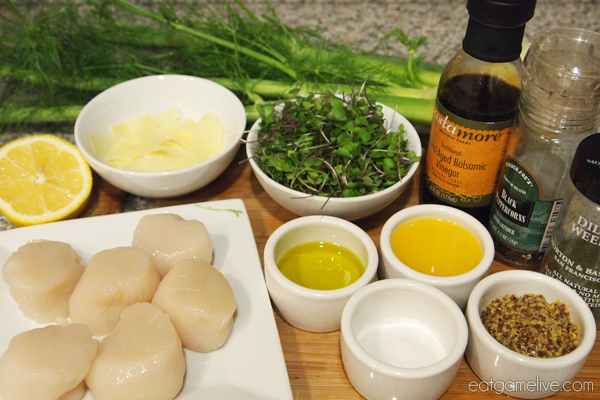 Total cook time will be about 35 minutes (assuming you cook the fennel and the scallops at the same time). This will make 2 servings. Preheat an oven to 375° F (~190° C). Place your fennel in a roasting pan and season with salt and pepper. Pour 1 tablespoon of olive oil over your fennel. Roast your fennel for 35 minutes. 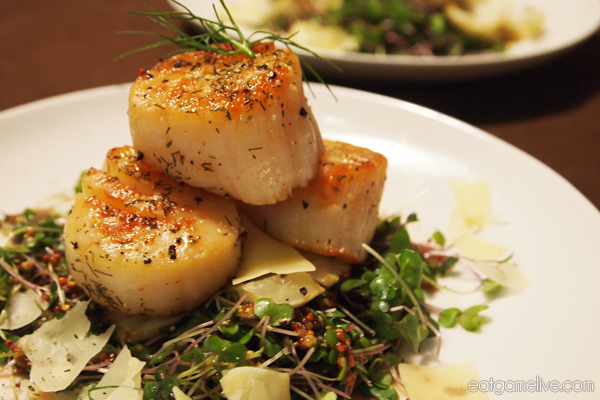 While your fennel roasts, prepare your scallops and sauce. Combine your dijon mustard, orange juice, and balsamic vinegar together. Set a pan on high heat and add 1 teaspoon of olive oil. Season your scallops with salt, pepper, and dill. When the pan becomes hot, place 3 scallops in your pan. Once you place your scallops in the pan, do not move them! Allow the scallops to cook for two minutes. Flip scallops over and cook for another two minutes. Remove scallops from pan and repeat steps 1 – 3 for the remaining 3 scallops. Place microgreens and fennel on a plate. Drizzle your salad dressing over the salad. Sprinkle with your shaved parmesan cheese. Place three scallops on top of your salad. Squeeze lemon over the scallops. See, instead of wasting your pokéball on that stupid Shellder, you could’ve just caught it and threw it in a skillet. SO WORTH IT. This entry was posted in appetizers, pokemon, seafood and tagged pokemon by admin. Bookmark the permalink. I still love Pokemon, the characters enchant me. These look good.